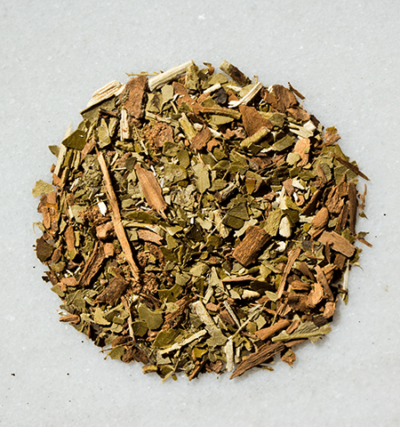 A delightfully decadent blend of juicy orange, fruity rooibos, and rich holy basil. Savor this blend hot or cold. 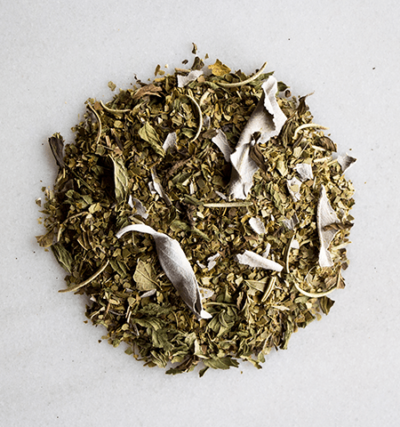 Holy basil and yerba mate synergize as an intelligent adaptogenic force, making this blend not only tasty, but beneficial for your entire system. Well-balanced with just enough tart and sweetness, who knew orange peels, yerba mate, and rooibos paired so well together. All ingredients 100% certified organic. Enjoy Holy Orange hot (170ºF) or cold — for those of you in summer try cold brewing. The citrusy orange and deep fruitiness from the rooibos make a refreshing iced tea.